In the office, on the move or even on-site: It’s never been easier to get an accurate specification for your next tiling project. BAL’s free specification tool ‘Powerspec’ allows you to quickly and easily create concise, technically accurate and up-to-date specifications for tiling. Completely free-of-charge and with secure access to your tiling specifications, it is a key resource to tiling contractors. Users can sign-in to Powerspec and follow an easy click-to-enter path to give details of their tiling project’s background, environmental conditions, tile type and size, area to be tiled and joint width. Powerspec then generates NBS format specifications, conforming to all relevant British standards. The user can opt for an architect’s specification, a contractor’s specification or a method statement. The most appropriate adhesives and grouts can be identified, including quantities required, and detailed material safety and technical information can be downloaded. 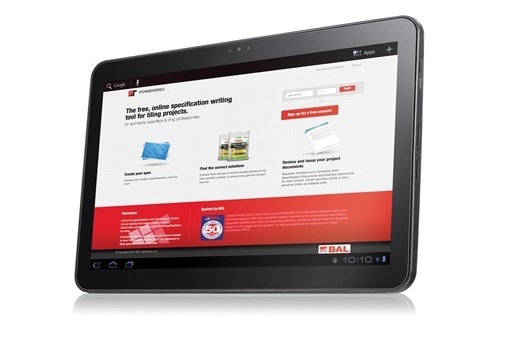 The world’s first online specification tool for tile adhesives and grouts has been completely upgraded and is now accessible via mobile phones, tablets, laptops or desktops. 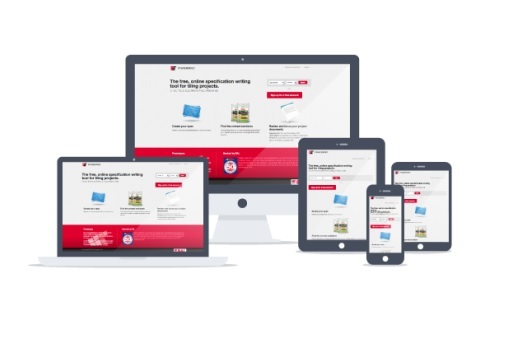 The improved processing performance means that it is unbelievably fast in use – with no downloads required, is extremely intuitive and simple to use, and responsive to provide the optimal display for whichever type of device is being used to access the specification tool.